A sea of multicolored ponchos filled up UC Berkeley's Greek Theatre on April 6, as thousands gathered mid-storm for the Sister Sister Sister tour. 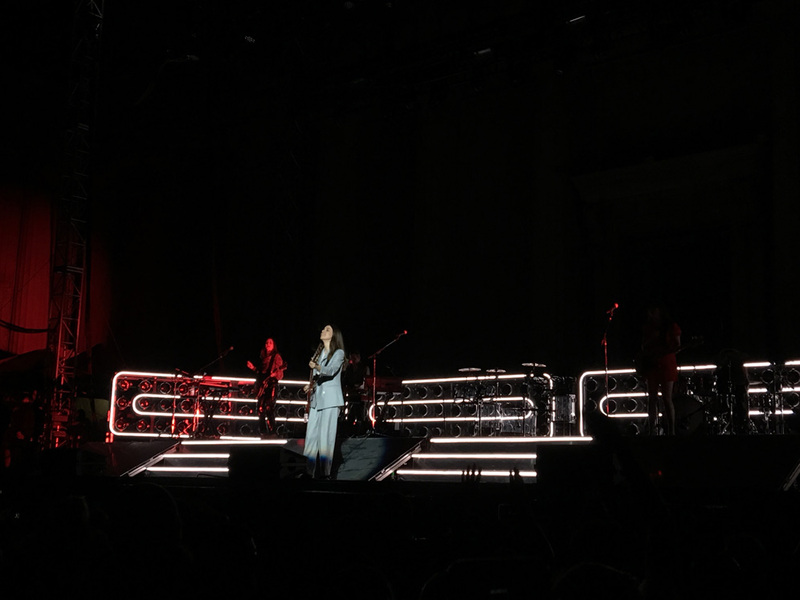 Hip-hop artist and singer Lizzo commanded the audience with her soulful voice and unforgettable dance moves, and headliner HAIM seamlessly delivered pure pop-rock with an energy uniquely theirs. From the start of the show, it was clear that the rain would not deter fun from being had — if anything, the persistent torrential downpour acted as an instrument throughout the evening, punctuating pivotal moments in the show as if nature was shouting "YAAASSS!" Immediately after Lizzo stepped onto the stage, belting out her brand-new single, "Fitness," soaked, bundled-up clusters of fans took to dancing and singing their hearts out. She went on to perform club anthems, "Phone," "Good as Hell," "Scuse Me," and "Truth Hurts," with the support of leopard-print-laden dancers who vogued and spun their way across the stage, while the DJ kept the beat moving and the crowd swaying. 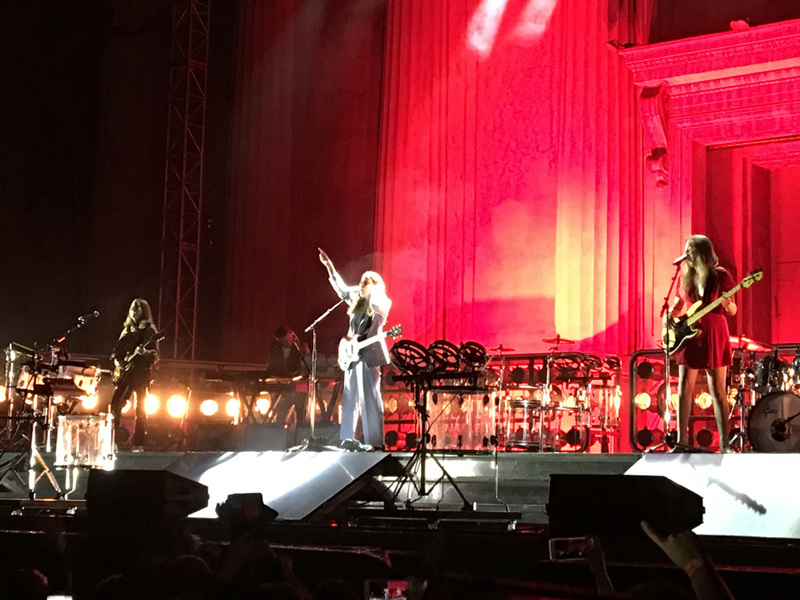 As Lizzo wrapped up her set with a flurry of feel-good songs for the true feminist in us all, the Greek Theatre buzzed with excitement , ready to continue the positive momentum — and who better to pick up the torch than headliner HAIM. 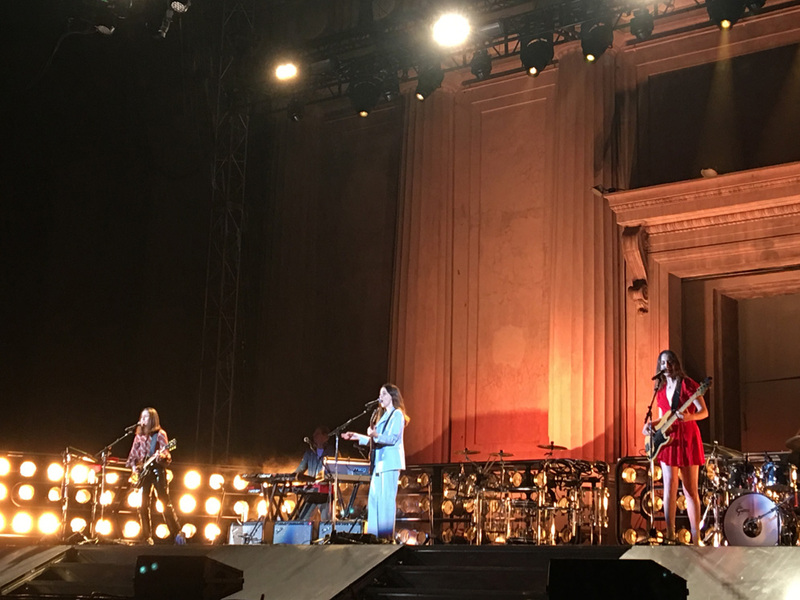 The sisters strutted out on stage and each landed upon a drum set, by order of age youngest to oldest: Alana Haim (vocals/guitar/drums) on the left, Danielle Haim (lead vocals/guitar) front and center, and Este Haim (vocals/bass) on the right. They began the show with their signature drumming often allocated to the end of their shows, and broke straight into several tunes from their 2017 album, Something to Tell You. 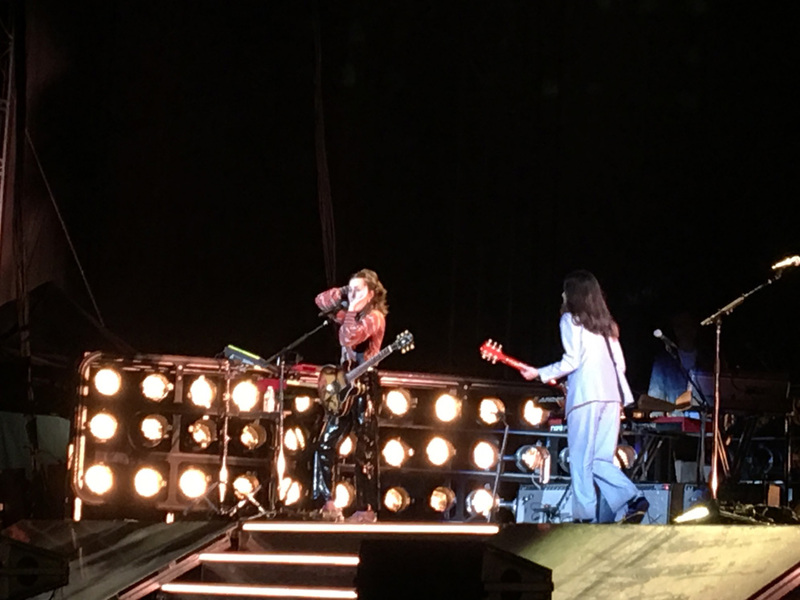 All three women took a handful of moments out of the show to share their complete awe and appreciation for the utterly drenched audience, who barely seemed to notice that it was raining. Este took her gratitude a step further by reaching for her water bottle, pouring its contents over her head, and announcing that she was "going to get wet for you guys." The amphitheater went wild. As the rain continued to pour, there were a few technical difficulties. Haim handled themselves gracefully, like true professionals. 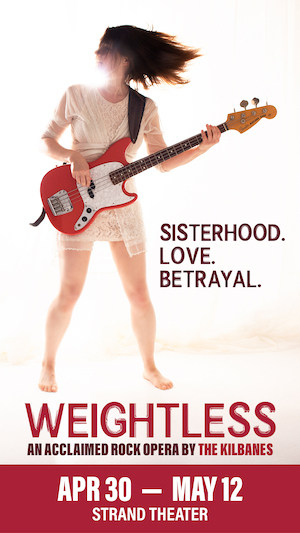 They curated a concert complete with choreographed dance moves, mind-blowing guitar and drum solos by Danielle, and even a cover of their "Queen" Shania Twain's song, "That Don't Impress Me Much." 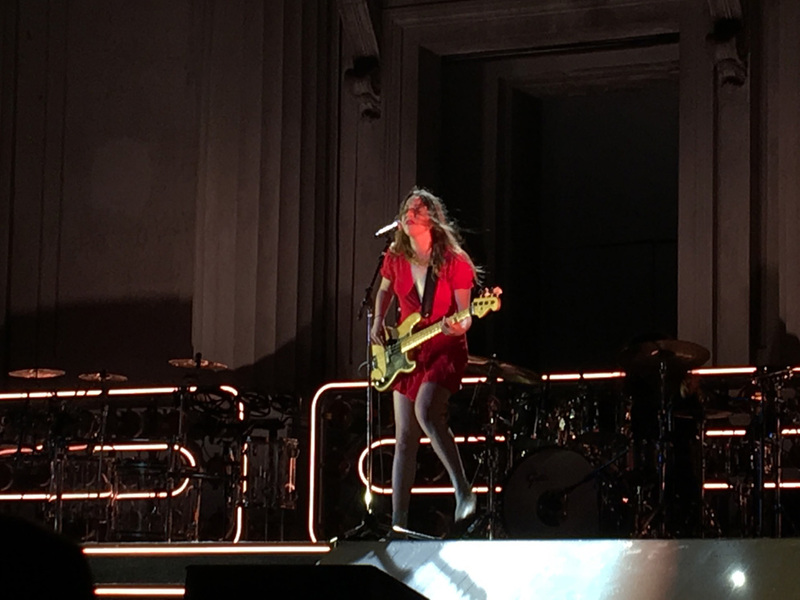 Este replaced Shania's Brad Pitt reference with Timothée Chalamet, of Call Me by Your Name fame (just another reason to love HAIM). 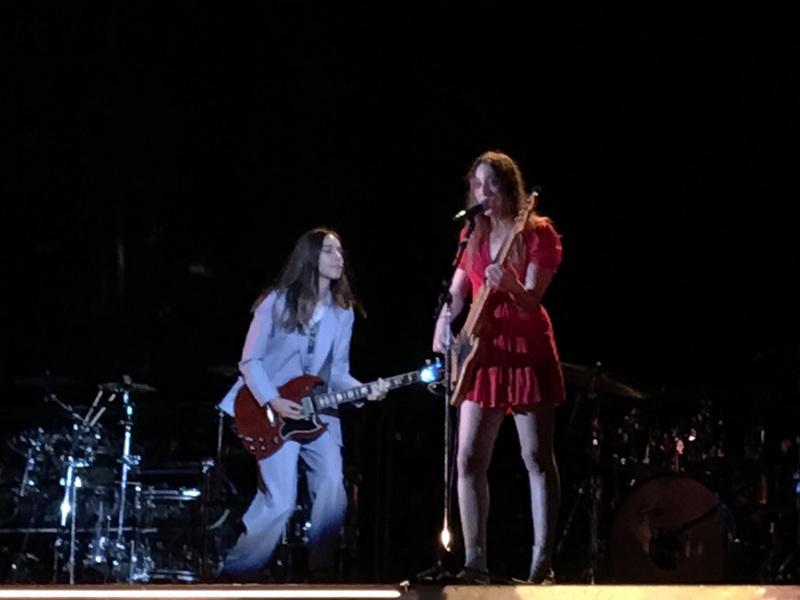 The talented sisters ended their emotionally-charged set with their popular drum collaboration, while stadium lights flashed red and yellow. 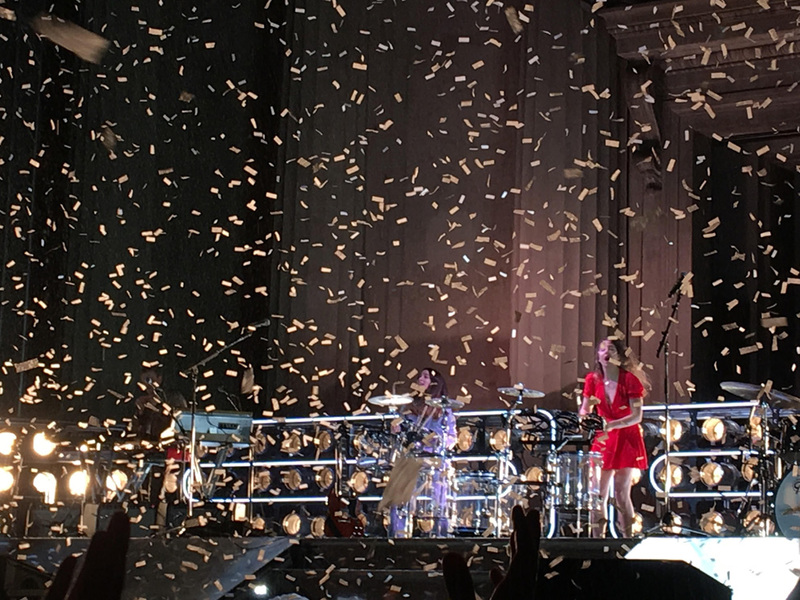 Then confetti glittered the sky, washing over the audience along slowing drops of rain, and a tangible sense of appreciation and love was felt as concertgoers began their trek home and out of the deluge.